On Thursday, October 19th, Save the Harbor/Save the Bay was proud to support our close friends over at the Friends of the Fort Point Channel at their 13th Annual Pumpkin Pageant and Fall Fling afterparty. 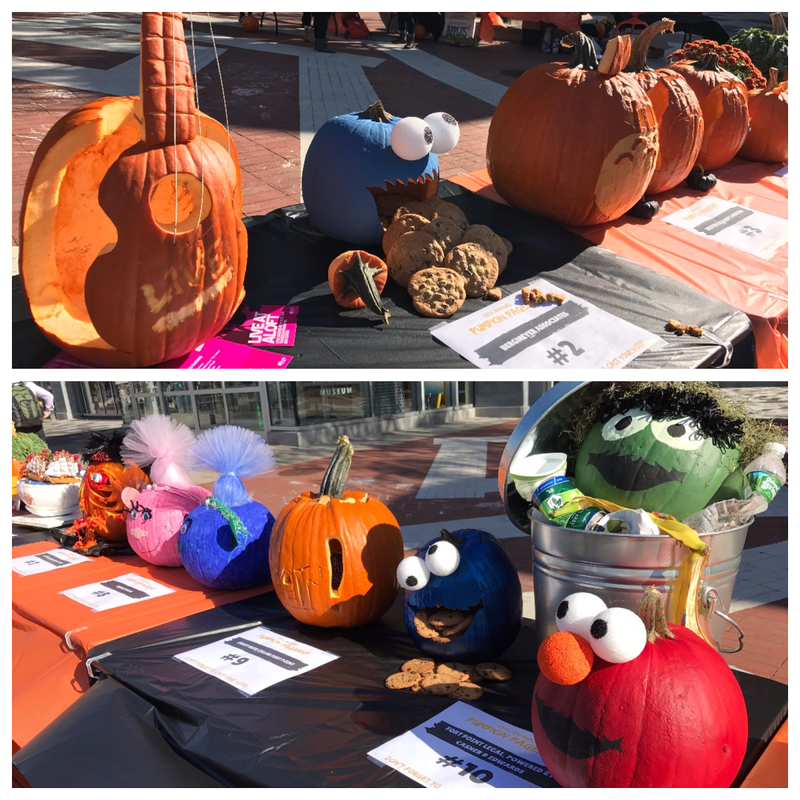 Local businesses and organizations displayed their carved pumpkins for judgement on the Harborwalk. The Pumpkin Pageant started off at 12pm on the Harborwalk in front of the Boston Children's Museum. Local businesses creatively carved, decorated and displayed their pumpkins with the hopes of winning in one of the four categories: Scariest Pumpkin, Funniest Pumpkin, Most Creative Pumpkin, and Crowd Favorite Pumpkin. 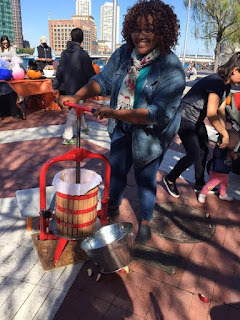 Save the Harbor/Save the Bay intern Lanique Dawson demonstrates how to make delicious cider. Save the Harbor/Save the Bay interns, Lanique Dawson, Will Cullen, Kate Oetheimer, and Maggie Kavanagh were there to help collect ballots as the crowds voted for their favorite pumpkins. 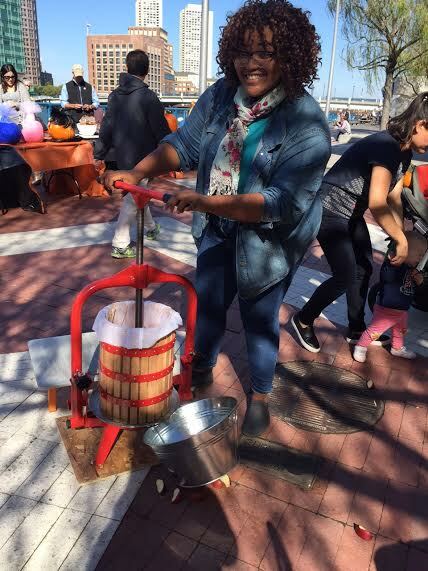 Our interns also assisted local children in operating the old-fashioned apple cider press, where fresh local apples were cut up and crushed into delicious cider for the public to enjoy. Interns Will Cullen and Kate Oetheimer help operate the apple cider press. Lanique Dawson, Will Cullen, and Kate Oetheimer were instrumental in demonstrating how to press apples in order to achieve the perfect fresh fall cider. Children excitedly gathered to take turns cranking the handle on the press to see their apple slices turn into flavorful and sweet handmade cider that they drank while painting pumpkins and enjoying our other activities. Pumpkin designs ranged from adorable to terrifying and everywhere in between, each showing the amazing creativity and diversity of our local businesses. The Envoy Hotel's delicious-looking entry. After all votes were collected, the crowd headed over to the Boston Tea Party Ships and Museum for the Fall Fling that evening, where Save the Harbor/Save the Bay interns Will and Maggie helped to transport pumpkins and decorations, set up Abigail's Tea Room, greet and check-in party-goers, and sell tickets at the door. The Boston Tea Party Ships & Museum's historically-themed pumpkin. The Crowd Favorite Pumpkin by Boston Properties. Save the Harbor/Save the Bay was excited to see the Crowd Favorite Pumpkin awarded to our great friends and supporters over at Boston Properties, who are long time partners in our youth programs. Overall, the night was a great success! 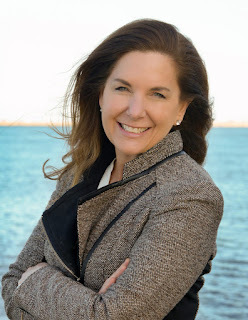 Save the Harbor/Save the Bay was happy to be so involved with the 13th Annual Pumpkin Pageant and Fall Fling and to support the Friends of the Fort Point Channel, who we have been delighted to see grow and progress over the years.